We all love our smartphones – I mean, why wouldn’t we? These days you can do everything from order takeout to request personalized cab service with a tap of your screen. The average American spends 58 minutes on their phone per day, with only 26% of total time spent actually speaking on the phone. 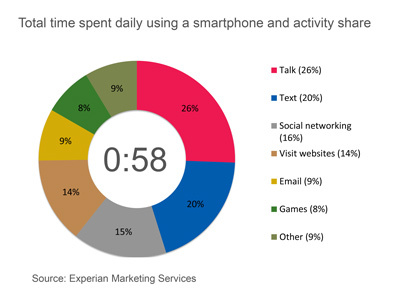 (Experian Marketing Services) The remainder of the time is spent texting or browsing the multitude of additional functionalities of our phones. Fortunately, thousands of smartphone applications intended to help people maintain and/or improve their health are available for free or for instant purchase on mobile platforms like Apple’s iOS and Google’s Android operating systems. Want to do some yoga on the go? There’s an app for that. Or how about trying to find the nearest farmer’s market? Yep, they have that, too. Worried that health bar isn’t good for your diet? Scan the barcode with your phone to learn the sugar content, calories, and healthy alternatives, while also tracking your weight loss. But do these apps really address pressing public health issues? Let’s take a closer look at arguably the most significant public health problem of the 21st Century – the obesity epidemic. Obesity continues to remain a public health concern for America. According to the CDC, it is estimated 69.2% of adults over 20 are overweight, and 35.9% of those adults are obese. Monitoring calorie intake, increasing consumption of fruits, vegetables, and water, and increasing physical activity are all strategies used to encourage weight loss. And you guessed it – there are apps to help high-risk and diagnosed individuals with all of these things. However, there is still the question of whether your smartphone can actually help you stay or get healthy. A randomized control trial conducted last year found that those assigned to a weight management intervention via a smartphone app adhered to their program significantly longer (92 days) than their website (35 days) and diary (29 days) counterparts. (Carter, et. al., 2013) The smartphone group also lost a larger amount of weight over the course of six months (10.1 pounds) compared to the website (6.4 pounds) and diary (2.3 pounds) groups. These apps seem promising at encouraging a healthy lifestyle. Yet, the wellbeing of an individual extends beyond entering the calorie content of those french fries they just ate. 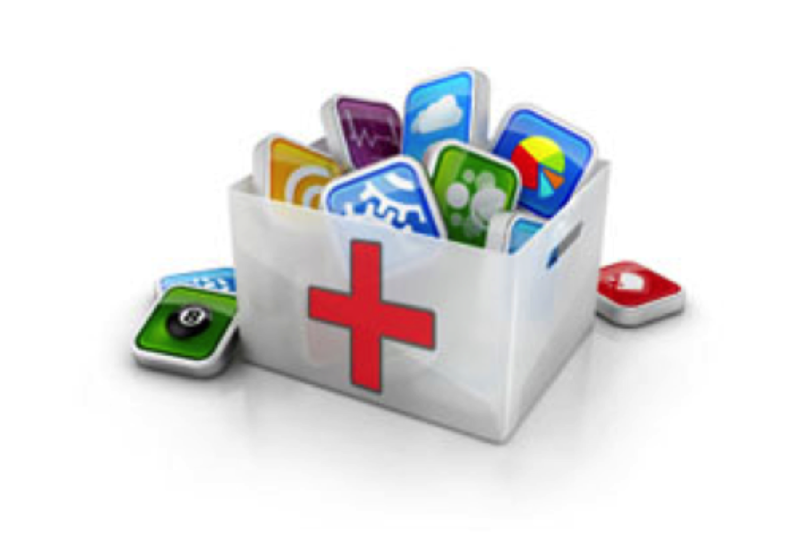 Mobile applications are also becoming more integrated in the hospital setting. Medical applications, such as DrawMD, allow patients to visualize their surgical procedure through comprehensive drawings. Through the VaxNation app, patients can enter their birth date and previous vaccination history to receive CDC recommendations for future vaccinations. Patients may also monitor prescription history and receive reminders about when they need to renew their medications. There are even applications being developed that could potentially diagnose serious conditions, such as rheumatic heart disease, without ever requiring the patient to set foot in a hospital. The FDA estimates that by 2015, 500 million smartphone users worldwide will use some type of health application on their smartphone. (FDA). With so many cell phone users around the world, it is no question these mobile applications will have huge impacts on the well being of others. 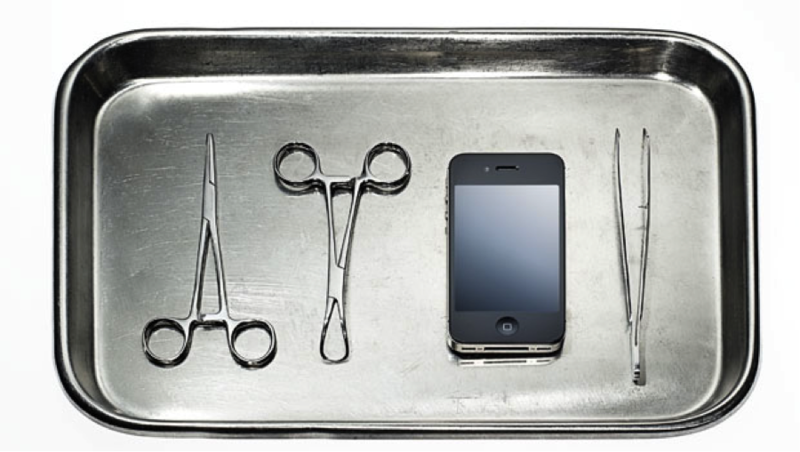 Will we see the day when you can diagnose HIV infection from a cell phone? While that remains to be seen, one thing is for certain – the world is in the midst of a technology revolution and within that, the potential for a health technology revolution as well. So the next time you decide to spend countless hours trying to score another point in Flappy Bird, why not check out a mobile health app?